What is the Healthy Smile Program? You may have gum disease and we want to help! In this blog post we have included before and after photos to illustrate what the Healthy Smile Program can do for you. The goal of our Healthy Smile Program here is designed to bring your gums or the soft tissue surrounding your teeth and bone back to health by treating the active infection and disease. More than half of Americans have some form of gum disease. 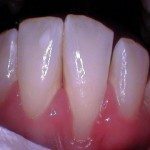 In the following photos, you can see tartar/plaque on the teeth and inflammation of the gums before periodontal therapy and cleaned tooth surfaces and healthy gums. In these photos you can see the tenacious calculus on the lower front teeth. 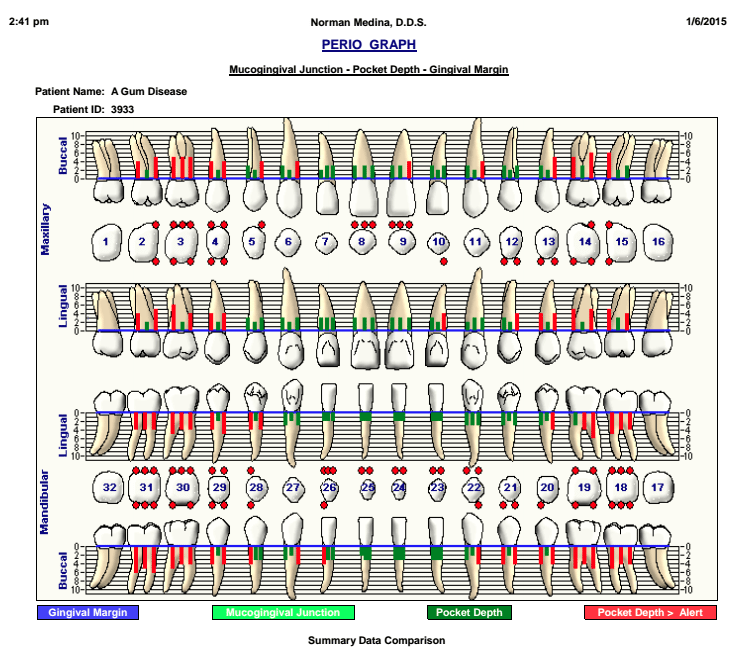 This calculus or tarter cannot be removed with brushing and flossing. Click here – Why can’t I just have my teeth cleaned. Gingivitis that is not treated or reversed can progress into an IRREVERSIBLE form of gum disease. Gum disease can occur in localized areas of the mouth or generalized all over. We at Seasons of Smiles Dental will classify your gum disease as early, moderate, or advanced. 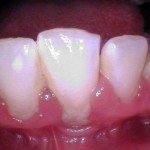 Although gum disease is considered irreversible it IS something we can treat with periodontal therapy to reduce active infection and help maintain a healthy state preventing further progression. What is “Healthy Smiles Program”? 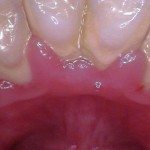 Shown above is gum disease in early to moderate stages. The red lines indicate pocketing around the teeth and the red dots indicate an active infection (bleeding). Depending on the severity of infection and state of gum disease, it may take several appointments to complete periodontal therapy and typically takes more frequent subsequent maintenance appointments to keep the gums healthy thereafter. The most important job is what YOU do at home and will require daily removal of plaque with proper tooth brushing and flossing. We will make sure you know how to properly clean your teeth at home and help provide any tools you need! 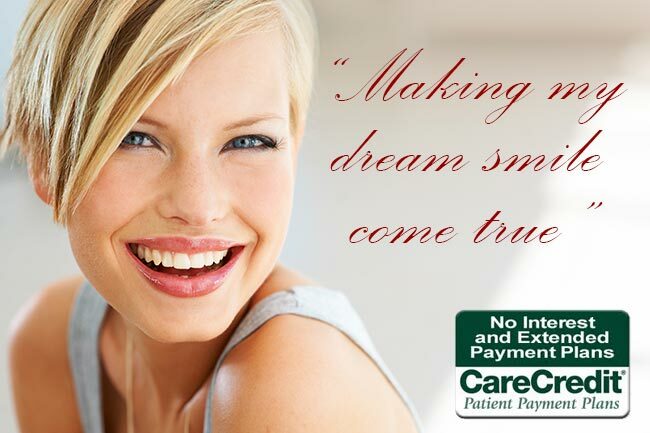 Each plan is individualized to your needs, but all plans include non-surgical periodontal therapy. 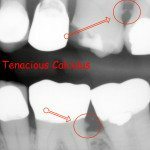 Periodontal therapy includes the removal of tartar, bacteria, and toxins around your teeth including below the gumline on the root surfaces. Sometimes this a referred as a DEEP cleaning. We numb the affected areas to make sure this process is completely comfortable for you. In this x-ray (after) you can see where the tenacious calculus has been removed. 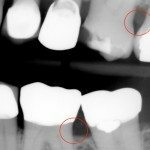 The xrays show tartar on the root surfaces before periodontal therapy and smooth roots after. Has it been a while since you have had your teeth AND gums checked? 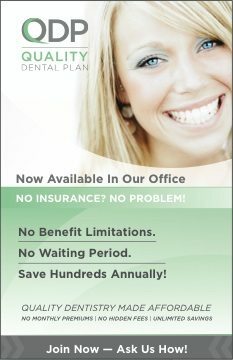 Give us a call at (207) 236-4740 to set up an appointment for your own personalized Healthy Smiles Program.